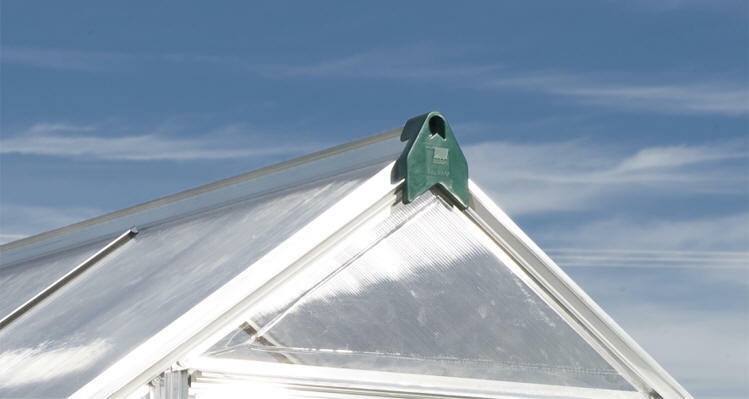 The clear, twin-wall polycarbonate panels on the M-L small greenhouse have twice the heat retention of single layer panels so it’s great for over wintering those pampered patio pots. 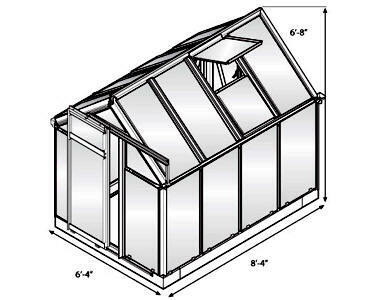 The M-L small greenhouse is sure to get you up and growing in no time! 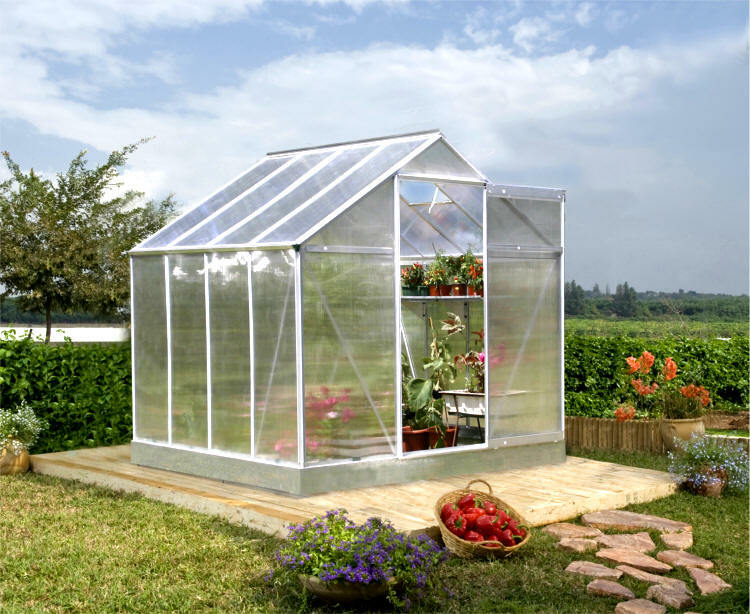 Save money by starting your plants early from seed, and extend your season by protecting plants from fall frosts. 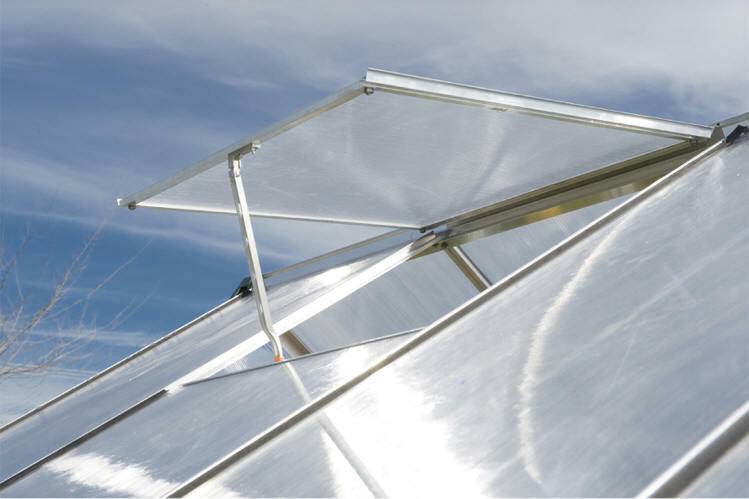 The clear, twin-wall polycarbonate panels on the M-L greenhouse have twice the heat retention of single layer panels, so it’s great for over wintering those pampered patio pots. Conserve water by using the downspout to collect rainwater! So many ways you can go green, and a great way to get maximum use out of your green thumb. 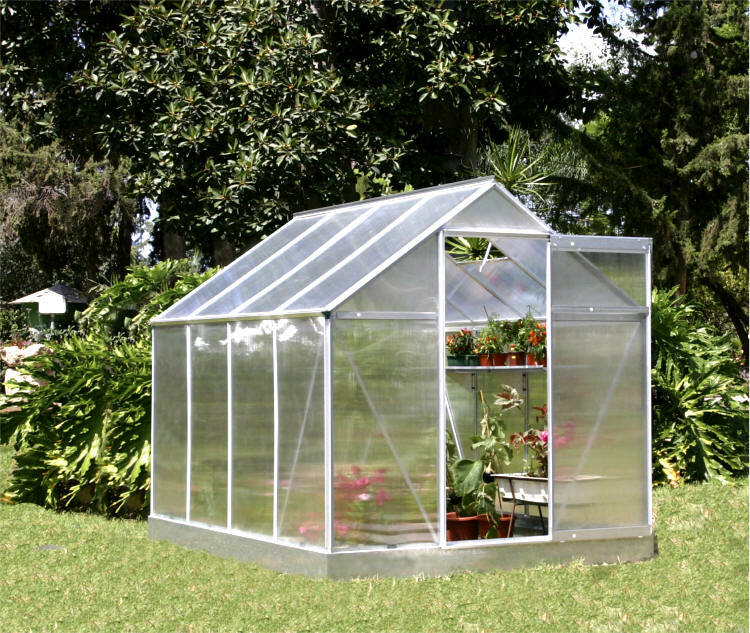 Get growing today, and let the M-L Greenhouse help you bring your green dreams to life. 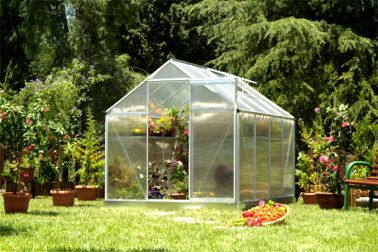 *Covering: 4mm clear, twin-wall polycarbonate panels. *Heavy-duty galvanized steel base kit.